The purpose of Salah is to attain the closeness of Allah and thus a person should condition the mind before commencing Salaah. 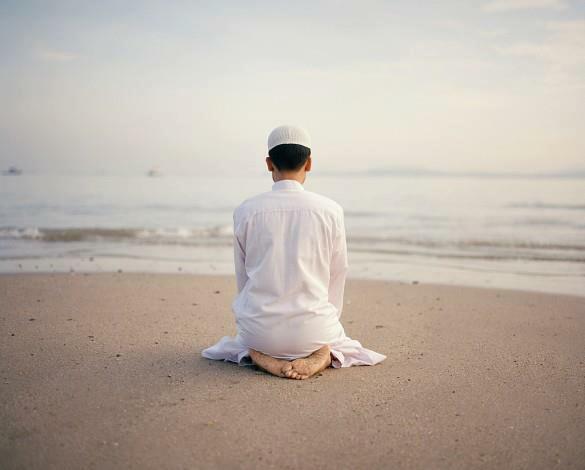 The spiritual journey of Salaah begins from the time of performing Wudhu. When washing the limbs, a person should think, “this is the face, these are the hands and feet I will be presenting to Allah. How shameful I feel of my sins of the eyes, ears, mouth, hands and feet.” Make dua and hope for the sins to be forgiven through Wudhu so that one may present his pure self to Allah, and enjoy the spirituality through Salaah. “When a believing servant makes Wudhu and washes his mouth, the sins committed by his mouth are washed out. When he cleans his nose, the sins are cleansed from his nose. When he washed his hands, the sins of his face are washed off, even from under the eyelids. When he washes his hands, the sins of his hands are washed off, even from beneath the nails of his hands. When he wipes his head, the sins from his head come off, even from his ears. When he washes his feet, the sins of his feet are washed off, even from under his toe nails. Then his walking to the Masjid and prayers are rewarded separately”. “My Ummah will be called and distinguished on the Day of Judgement as a people with bright and radiant faces and limbs from the effect of their Wudhu practices. Whoever among you can increase his radiance should do so”. When an individual commences Salaah, he should assume that he is seeing Allah or at the least have conviction that Allah is seeing him. Only the honoured guests are greeted well and welcomed in the home by a host. The prayer mat is a palace; Allah is our host and we are his guests. Would a person want his gift of Salaah to be honoured and taken by the angels to Allah, upon which Allah is pleased, or extend a prayer which barely reaches the heavens and is thrown back at him? Allah is not in need of our prayers; we are in need of Him. The person should focus on the majestic presence and powers of Allah and proclaim the opening Takbir “Allahu Akbar” (Allah is the greatest of everything) from the deep recess of his heart with the concentration that indeed Allah is the greatest. Not only is a person raising his hand when proclaiming the Takbir, but he is, in fact, shunning the world and all its thoughts and temptations behind him, expressing his weakness and emptiness before Allah, asking Allah to rescue him from the ocean of sins, and submitting himself to the will of Allah. A person should be feeling grateful of being honoured the privilege of talking to his Creator. Each prayer of a person should be observed as his last prayer and that perhaps he may not live for the next Salaah. The heart, soul, mind and all the limbs should be attentive to communication with The Al-Mighty. The individual must concentrate on the purity, majesty and glorification of Allah when reciting Thanaa (praising Allah). If a person is unaware of the meaning of Surah Faatiha and the Surah joined, he must at least concentrate on the words and their pronunciation and acknowledge that he is conversing with Allah and that ‘this is the speech of my Lord`. Allah is responding to us at the end of the verses of Surah Faatiha. The Qur`an is blessed and Allah only gives the opportunity of its recitation to whom He wishes by His ultimate mercy. The opportunity to spread the prayer mat and to stand before Him is a sign of His willingness to accept us and forgive all our sins. When bowing down into Ruku, the person should demonstrate total humility and express his need and dependency on the Lord of the universe. One should with utmost love and sincerity proclaim “Subhaana Rabbi al-Azeem” (My great Lord is pure and free from all weaknesses and defects) with all my heart. When prostrating into Sajdah, the individual must condition the mind that each limb from forehead till toes is in servitude, beseeching and glorifying his Master. Once again proclaim “Subhana Rabi al-A’la” (pure is my Allah who is the highest of all). Ever Rak`at should be read with such devotion, concentration and consciousness of the omnipotent and omniscient presence of Allah. When sitting in Tashahhud and reciting the Attahiyyaat, ponder on the spiritual and amazing night-journey of Me`raj (the ascension) undertook by Prophet Muhammad (peace be upon him) wherein he made a heavenly declaration of submission through the Attahiyyahto Allah. Verily, Salaah is the Me`raj of a believer. Extend salutation on Prophet (peace be upon him) with love and invoke Allah for his ultimate mercy and acceptance. When making Salam to the right and left, make intention of greeting the angels. Upon completion of Salaah, ask for forgiveness from Allah for not being able to fulfill the rights of Allah in Salah. After completion, a person should supplicate, ‘Oh Allah, accept my Salaah and make the coolness of my eyes in Salaah’. 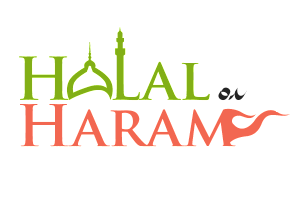 In the case of a male, when performing Salaah behind an Imaam, especially in an inaudible Salaah, if one cannot concentrate and fears the mind wondering about, recite “Allah, Allah” in one`s mind to be able to concentrate. This level of concentration and consciousness will require an effort. A person may begin performing Salaah which is shorter but with full concentration and then gradually increase the length of the Salaah. As the standard of concentration increases, so will the spirituality of the heart revive and provide contentment and support in all aspects of your life.